"When I'm not writing" with Dani Harper + giveaway! I'm pleased to welcome Dani Harper to the blog today! She's a fellow Canadian and the talented author of the Changeling series, which consists of CHANGELING MOON (a 2012 RITA finalist! ), CHANGELING DREAM, and CHANGELING DAWN. 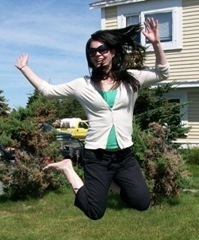 Find out what Dani does when she's not hard at work and remember to stick around for the giveaway! When I’m not writing … I’m thinking about writing. Honest, my mind is like a hamster in a wheel 24-7, and most of that activity seems to revolve around current and future stories. And sometimes characters will just “show up” and start talking, even if I don’t even know them! It doesn’t matter what I’m planting – I love it all. Trees, shrubs, flowers, vegetables, bodies… er, I mean bulbs. Watering, nurturing, weeding – both my pugs supervise the entire process, just as they do with all of my writing projects. My favorite perennials are my wolfsbane (really! ), bleeding hearts, Sitka roses and irises. We don’t have very much room in our present locale, but have pots, will plant flowers! It’s helped me create my very favorite place to read or write – our back porch. The pugs play with their toys or bask in the sun while I get out my Kindle or my laptop. 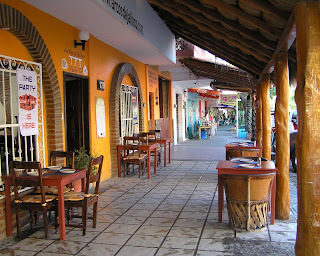 I have several items from Mexico on the porch now and I often pretend that I’m writing at my favorite sidewalk café in Barra de Navidad again. Which brings me to another favorite activity – traveling. I don’t get to do it very often, but I love seeing new things, whether it’s in the next town, the next state or the next country! My hubby and I are both afflicted with an insatiable curiosity about EVERYTHING. On our last little trip we saw WWII aircraft, ancient cliff dwellings, museums, a giant meteor crater, Mexican wolves, cacti and casinos. It was all fascinating, and things like that help to inspire me as an author. My experiences living in Alaska also inspire me, and I love hiking (especially with my pugs! ), hunting and fishing. My mind tends to process everything in terms of settings, plots and characters, and files countless things away for future use in my stories. Which brings me right back to the beginning … When I’m not writing, I’m thinking about writing! Thanks for visiting us, Dani! Your garden is gorgeous! For more information about Dani and her books, check out her website or follow her Facebook and Twitter. He roams the moonlit wilderness, his every sense and instinct on high alert. Changeling wolf Connor Macleod and his Pack have never feared anything — until the night human Zoey Tyler barely escapes a rogue werewolf’s vicious attack. As the full moon approaches, Zoey has no idea of the changes that are coming, and only Connor can show her what she is, and help her master the wildness inside. With her initiation into the Pack just days away and a terrifying predator on the loose, the tentative bonds of trust and tenderness are their only weapons against a force red in tooth, claw … and ultimate evil. 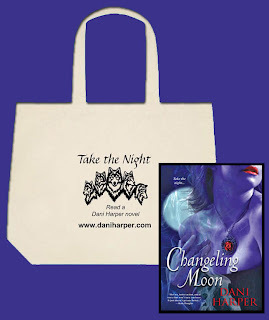 Dani is generously offering one (1) signed copy of CHANGELING MOON (the first book in the series) and a tote bag to put it in for a lucky reader! Dani's a great author. I've only read Changeling Moon so far but Changeling Dream has been sitting on my shelves for far too long. I think it's time that I make time for it! Dani - What a beautiful garden you have! I'm jealous. I somehow manage to kill off even the hardiest of house plants so... I definitely don't have a green thumb! Houseplants are a whole different matter --- it's tougher to give them the conditions they need. What a beautiful garden! It looks like such a relaxing place to sit and read. I haven't read your books yet, but I'd love the opportunity. I love the plastic Adirondack chairs you can buy now -- so comfy. Perfect for reading! Oh my gosh, my black thumb is positively green -- with envy! 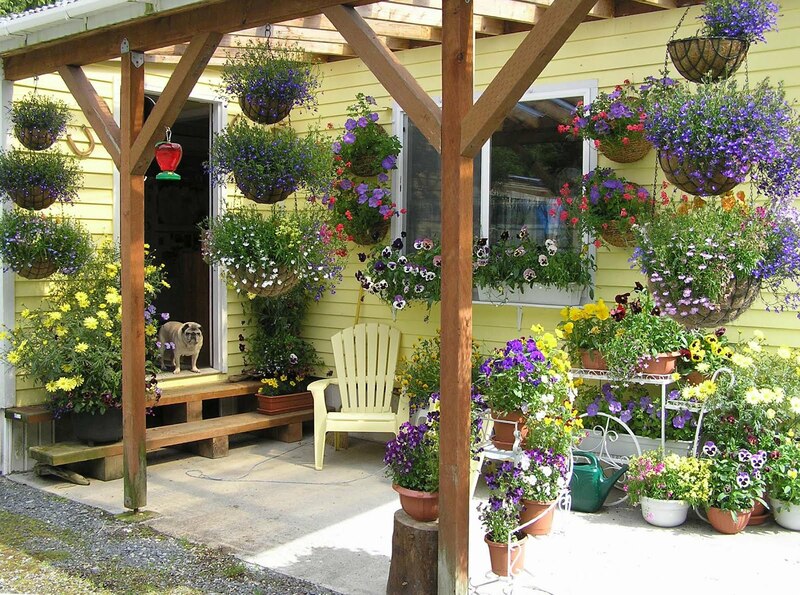 What a gorgeous oasis you've made on your back porch, Dani! That's what we call it too --- "the oasis". Recently we built a porch on the back of the house so we could do the same thing there. Playing in the dirt makes me feel more alive too. I don't have any yard to speak of, so I try to make up for it on the porches. I think I love your little dog. What a personality! Really? I've always thought that's a very cool occupation. You'll be able to tell if I did my research! Love the garden! I also love planting everything. Veggies, Bulbs, Herbs, Flowers. Ebooks while gardening...YES its nirvana!!! Oooo, I hadn't thought of audio books -- that would be PERFECT! Thanks for the idea. *waving at Sharon* Thanks for the sheep love! I am not entering because I won something very similar. Whoever wins is going to be thrilled :). Best of luck all! Hi Victoria - really glad you came by! Dani, I love your Pug! I have a Pug named Bella, though she is fawn color... they are such a delight and very loyal dogs. Beautiful garden as well. Do you draw inspiration from either??? I love being surrounded by flowers and plants -- it makes me feel serene and I just might think better. So my porch is a great place for writing or reading. LOVE my pugs. Fiona and Toby are my assistants. I can honestly say I haven't written much without a pug close by! This is a new author and series for me. I love to read and always looking for new books and authors to check out. Love wolves and their stories. I am a big flower and flower garden fan. My husband used to do landscaping for a lawn care company and takes great pride in our yard. We pick out plants that last. Have quite a few large and small beds. Even have a salsa garden, a strawberry patch, and many other flowers. Around a couple of trees I have tons of bearded Iris'. Love tulips and lilacs. Have become a new fan of bleeding hearts, my daughter loves them. Ooooo, lilacs! My Welsh gramma had a lilac hedge around her house that was close to 10 feet high. When they bloomed, it was heaven! Love your idea of a salsa garden - I may have to try that. Bedding plants make it easier if you're just beginning. If you read their tags and pick the ones suited to the light you have (full sun, part sun, shade, etc), they're fairly foolproof. Although I can still be surprised -- had several pots of flowers last year that just did NOT grow. We had colder temps last year than normal and I think they didn't like it. OK, you really did inspire me, LOL! We ripped out the unsightly stuff in front of our house and are redoing it! I'm going to get some pots for the back and some herbs too. We live in a hot climate, I just need to be vigilant on watering. Go Laurie Go! I'm excited about your project. Hope you'll post a pic or two on Facebook! Love the Patio! Gorgeous, I'm afraid I'm not one for gardening! I'm too afraid of worms, my brother, when I was younger, tried to cure me of the fear and made it worse instead! Sounds like my efforts to get over my fear of spiders. That SO did not work! I haven't read any of your series but they look like my kind of books. I loved reading about your gardening. I just got in from doing some planting. My cats help me, mostly by settling where I want to plant. Your pictures were great. Happy writing and gardening. I would love to do some serious travelling one day. I get a lot of my inspirations from books I read. For now I'll travel via them and in paranormals especially, they can be exciting places! I think that's really where I do my best traveling -- between the covers of books! Very nice post. All your books sound good. What's your favorite place that you've been while traveling? There's a WWII aircraft museum in Arizona - I used to build model planes as a kid (really!) and a lot of my favorites were in the museum. It was exciting to be able to walk around them. I think there should be bumper stickers that say something like that - "Proud Paranormal Romance Addict" I know I'd put one on MY car! This series sounds amazing & thank-you for such a wonderful giveaway. I admit, I LOVE giving away things! It's so fun! Oh I love your garden! I wish mine could look like that. Thanks for the giveaway. Mine doesn't always look this lush --- some summers here in coastal Alaska are too cold and nothing really grows much. I agree with everyone, you have a beautiful garden, I would love to have one like that, it's amazing, but well it doesn't work for me lol. I feel really lucky to have such pretty covers - Kensington did those. Dani you must have an amazing green thumb. I've been struggling with making things look pretty in our yard, but I can't seem to remember to water things ofter enough haha. That still happens to me too! Especially the smaller pots - they dry out so fast! Oh my god! How adorable is your Pug :') and your garden is beautiful, I wish I had green thumbs. I think all pugs were designed to be adorable! I love them! I love gardening too.I wish I had a greener thumb though :) I enjoyed reading the post. I have a friend that says "If it doesn't grow, at least I got to play in the dirt!" Some of my neighbors raise those pink Stargazer Lilies -- I've never seen a more gorgeous lily, and they're huge! In northern Canada, I had two sides of the house surrounded by big orange and yellow day lilies. Great post! Dani, your patio is beautiful! Thanks for sharing and for making the giveaway international! Lovely blogpost Dani, thank you! I really admire your patio-garden, it looks very inviting. I am looking forward to reading your books soon. Thanks for the international give away. I try to make most of my giveaways international. I appreciate my readers in other countries. My husband keeps me well away from any planting and plant care. I have been know to kill of cacti!! Cacti can be tougher to grow than you think -- I wouldn't feel bad about that. I understand the lack of funds too. Everyone's feeling the pinch these days. Scrolling through the pictures, I thought that was my dog! 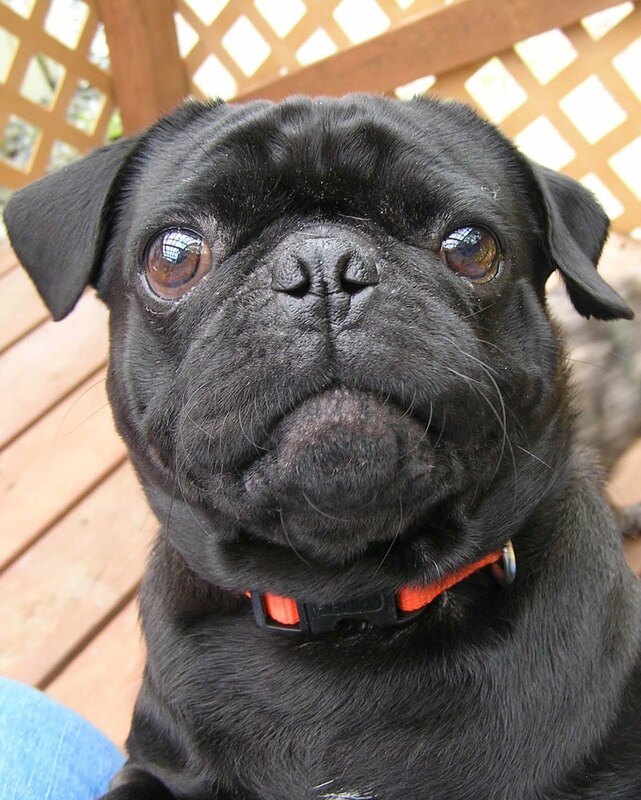 I have a black pug too named Guinness, after the beer. lol Oh, I hear him snoring now! Does your dog snore? Omigosh YES! I think all pugs snore, but some are real champions at it! I love the name of your pug! Your back porch is absolutely beautiful. Unfortunately, I do not have a green thumb. This series has been on my wishlist for quite a while, but I just moved the series to the top. 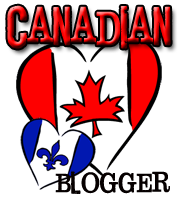 Thanks for the post, excerpts and giveaway. Glad to know the series caught your eye (not everyone has heard of it). Great blog! I love knowing what authors do in their spare time. Hi Dani, I'm wondering how much influence you had on these covers? They are eye catching & just gorgeous. What a beautiful patio and garden. My favorite reading place is my back patio and now I will have to covet yours ;) Thank you so much for taking the time to share with us a little bit of you. I bought this ebook, but would love to have the beautiful physical copy to finish off my set. It is so beautiful. *waving at Denise* I love to read or write outdoors whenever possible. So my porches are my little sanctuaries. Thanks - I think everyone needs a spot of beauty in their lives. Thank you! 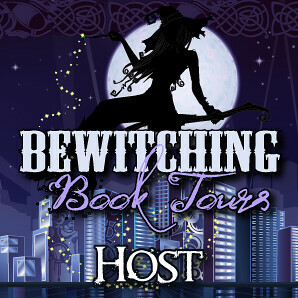 I really enjoy offering giveaways -- it's SO fun! Hi Dani! I'm love your porch garden. I used to have a serious 50ftx50ft vegetable and flower garden, but alas, my old knees have changed my mind on that! I do grow some flowers and herbs. I've only read the first of the Changeling series but hope to get caught up soon! Thank you Tynga, for bringing us this great post. My knees give me grief too. If I ever get something that looks like a yard, I'll have to go for raised garden boxes! Also, Dani can come plant some flowers at my house! We need some color and curb appeal. We're actually planning to do that this weekend and while I know I'll like the outcome I don't enjoy speading money or working outside for that matter! Oh well, it'll be nice and it'll be worth it in the end. Honestly, Dani, that garden takes my breath away. I love traveling too, but oh my! Don't think I'd ever want to leave. :) Thanks for sharing! Yards are harder to plan because it's such a big canvas. My sister and mom are fabulous gardeners, and they focus on small groupings -- everywhere that you look, you should see a complete picture. Myself, I have to look at magazines or online until I see something I like! This Series Sounds Awesome and I can not wait to read it. And I love the tote bag. Thanks Anna. I love totes too -- you can never have too many! I have read the entire Changeling series and just love them. I can't wait for another. Great work Dani. Thank you so much! I'm so glad you enjoyed the stories. I have more in the works. I cant believe i havent heard of your series before now it sounds amazing, if i dont win the contest i will definitely be getting this/these novels and reviewing them. Those covers are beautiful!!!! I feel like the cover gods smiled on me -- I'm grateful every day for that incredible artwork. Glad you like them! Traveling! That's awesome. I know most people love to travel, but still. I've never been to Alaska, or a lot of the other places you mentioned. I've mostly been to Europe. There are so many places I want to go. I also love the covers. They remind me a little bit of Kelley Armstrong's first YA series, with the focus on the necklace. Can I say how much I want that necklace. It's so pretty! I want that necklace too! It's gorgeous -- and it's involved in one of my future stories! 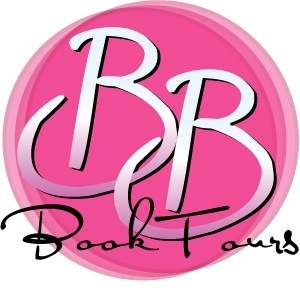 Will definitely be adding your books to my TBR list - looks delicious! Your garden is simply beautiful too! This series has long been on my Wishlist! Sometimes Toby is very lucky to be cute --- like the day he played with the toilet paper roll. i have to say, i would love to go on vacation with you guys!! sounds like you have a blast!! have you ever considered birdwatching?? with your garden it would go hand in hand! !